1956 contest winner Lys Assia. Inspired by the Italian Sanremo Music Festival and held in Lugano, Switzerland on the 24th of May, this edition of the Eurovision Song Contest is noteworthy for being the very first entry of the now most watched non-sporting event in the world. The contest was hosted by Lohengrin Filipello and ran for approximately 1 hour and 40 minutes; consisting of 14 performances - 2 from each of the 7 participating countries - the interval act (Whistling by Joyeux Rossignols), and the winner's reprise). 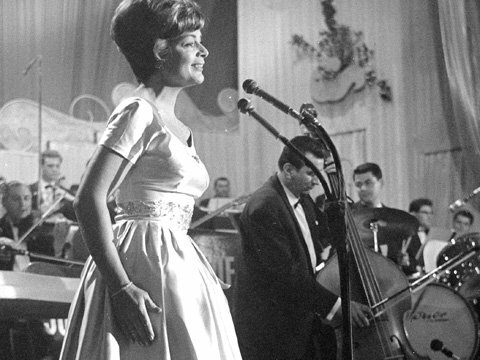 The winner was Switzerland, with the song "Refrain" sung by the then-32-year-old Lys Assia. The voting procedure caused quite a lot of controversy at the time, as the jury members (2 from each participating country) were allowed to give their respective point to their own song, and in secret. The controversy got even more heated when the Luxembourgian jury was unable to make it to Switzerland on time to cast its votes, and the Swiss jury was allowed to vote on behalf of Luxembourg. As a result, it is speculated by some that Switzerland's victory is attributed to the fact that the jury was able to give more points its song than any of the other countries could. As a result of this, this particular voting system was never repeated and starting with the next contest in 1957, the national juries could not vote for their own song and all points given would be shown to the viewers via a scoreboard. Though it was mainly a radio programme, cameras were present in the studio for the few Europeans who possessed a television at that time. Although there exists a full audio recording and can easily be found online, no video footage exists of the contest apart from newsreel footage of Assia's encore performance. The 1956 contest is only one of two (out of currently 61) contests to have almost no surviving footage (the other contest being the 1964 edition). ↑ The official website's page on the event Retrieved 16 Sep '16.